​Dr. Michael Christensen is the Director of Instrumental Music at Coffeyville Community College in Coffeyville Kansas. 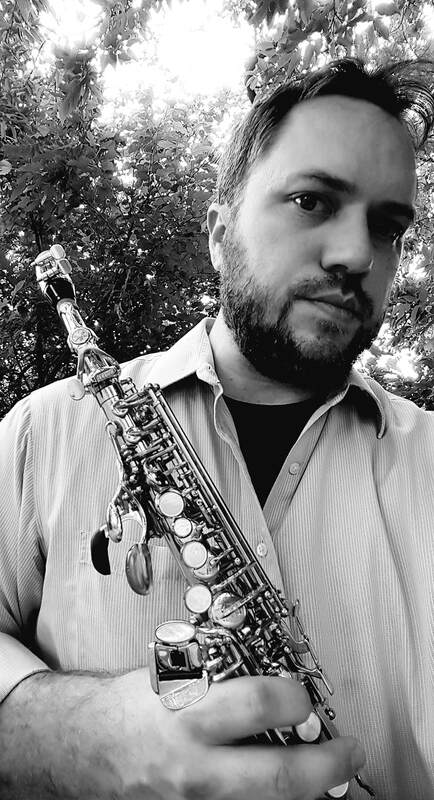 He previously held teaching positions at the University of Texas in Brownsville as Lecturer of Saxophone and Director of Jazz Bands, and the Lubbock Independent School District as a private lessons teacher and Assistant Director of Bands at O.L. Slaton Middle School. In addition, he maintained a private lessons studio in the Oklahoma City area from 2015-2016. Dr. Christensen has had the opportunity to develop courses within the collegiate curriculum in several areas including music theory, music technology, music appreciation, and has also built collegiate band programs in the concert, jazz, and athletic areas with great success. Most recently, he has developed the jazz combo program at CCC and founded the CCC "Sound Machine" athletic pep band. He also serves as arranger of all pep band music for his program. As an active performer and educator, you can find Dr. Christensen at numerous events and conferences throughout the United States including the Kansas Music Educators Association Conference, North American Saxophone Alliance conventions, and several others. While at home, Dr. Christensen enjoys working on exciting new pep band arrangements in between concerts and classes, and working with area high school band students. Christensen serves as director of Concert Bands, Athletic Bands, Jazz Bands, and is the Orchestral Director for the annual CCC musical - most recently directing Oliver! and Beauty and the Beast.